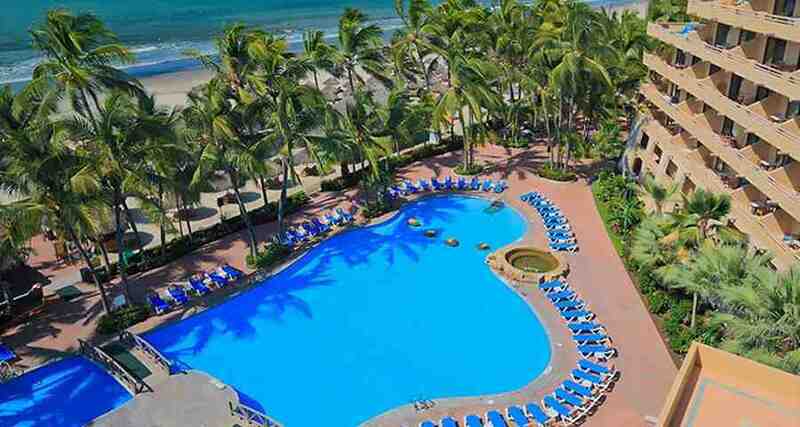 Paradise Village Beach Resort and Spa is a luxury 5* family friendly beachfront resort located in Nuevo Vallarta, Mexico. It features 680 rooms, swimming pools and spa services. Enjoy a true vacation with family and friends in this paradise, better known as the Paradise Village Beach Resort and Spa. This resort in the Riviera Nayarit offers great amenities that include 680 luxury suites, two world class spas, a pro golf course, a shopping center, a medical center and a sophisticated marina. Situated on one of the most prestigious beaches on Banderas Bay, this resort is perfect for a vacation experience that you'll never forget.